Metro Mirage Hotel Newport, a beautiful 4-star boutique waterfront hotel and event centre overlooking Sydney’s spectacular Pittwater, is the perfect venue to host your end-of-year function or private Christmas party. Book any of the packages below before October 31, and enjoy a complimentary overnight stay in a waterfront room with full buffet breakfast for two. Mirage Restaurant with adjoining Waterfront Terrace offers magnificent views across Pittwater, and is available from $59 per person for 15 – 120 guests, with a selection of cocktail, two or three-course menu packages and beverage packages to suit your budget. The Alfresco Poolside Function area, located right on the water’s edge, is perfect for more intimate functions of between 15-60 guests and is available from $53 per person. Packages include exclusive use of the poolside function area, provided on a complimentary basis including AV system, an alfresco barbecue buffet with personal chef, and separate beverage packages. Christmas dinner packages are also available from $53 per person. Located just 45 minutes from Sydney CBD, Metro Mirage Hotel Newport offers a range of competitively-priced accommodation options, including 9 Waterfront Spa Suites and 38 Executive Rooms. 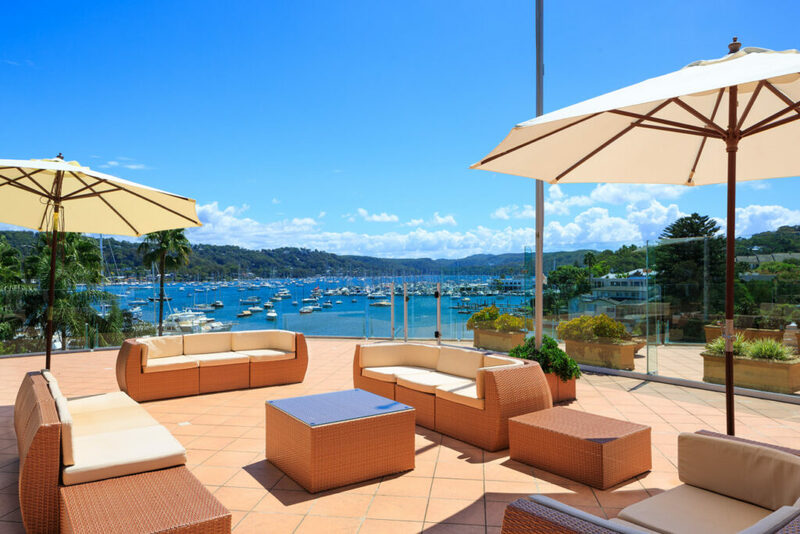 The property offers an outdoor swimming pool and spa, The Restaurant and Terrace function space overlooking Pittwater, a casual poolside area perfect for post-event networking or private functions, complimentary Wi-Fi, 24 hour reception, on-site parking and a private jetty for arrival by water. The hotel’s experienced functions team is eager to help plan your function or event. Contact Tracey Scott at Metro Mirage Hotel Newport on (02) 9997 7011 or email [email protected].